• Drinks: $7 house wine, $4.25 well drinks and $.50 off draft beer. Food: Daily specials and discounted bar menu. $.50 oysters on the half-shell Wednesdays and Fridays. On Thursdays Happy Hour is all night for women. Friday and Saturday if you order 2 meals, 1 is half off in the bar. This old-school steak and seafood restaurant has kept its prices affordable and its ambiance comfortable since its Bend opening in 1982. Happy Hour 4pm-7pm. Dinner served 5pm-Close. Kayo also hosts regular comedy shows in its lounge. 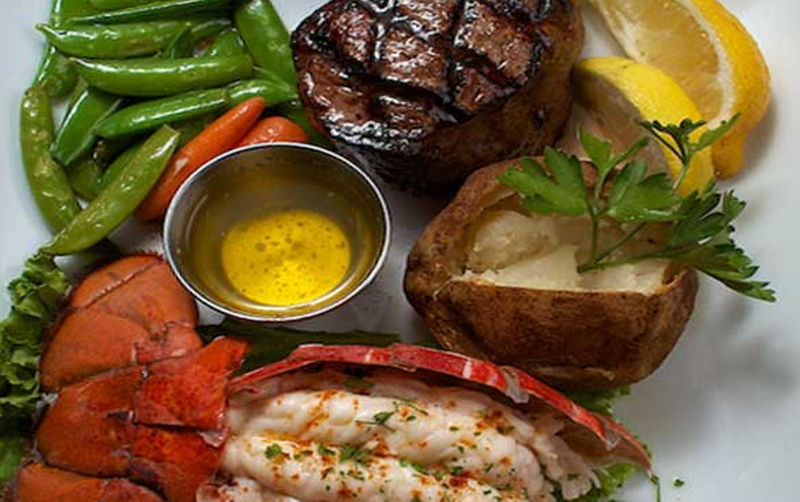 Specializing in fresh surf and turf Northwest dishes.